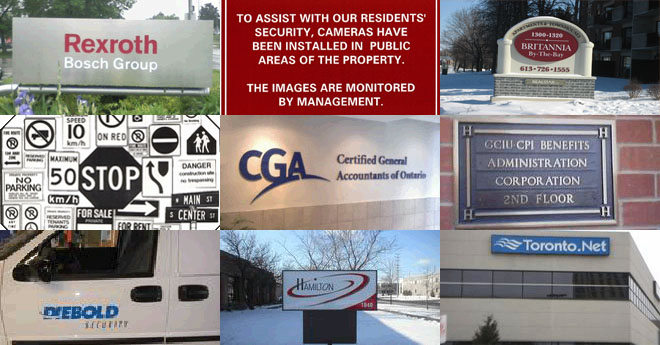 At RDM Signs We manufacture, supply install and maintain most forms of signs to deliver on the needs of the business owner, developer or property manager. We offer over 20 years of experience to help you choose the appropriate signage, materials, look, and size to fit the situation. "The sign you want, on-time, on budget, with quality and durability"
In the search for signage, the customer should know that choice of products and colour schemes can influence the message that the customer wants to transmit. © Copyright 2010 RDM Sign Group Inc. Designed by Khaztech.